If you’re looking for comfortable and convenient lodgings in Santa Cruz, California, look no further than Aqua Breeze Inn’s pet-friendly accommodations. 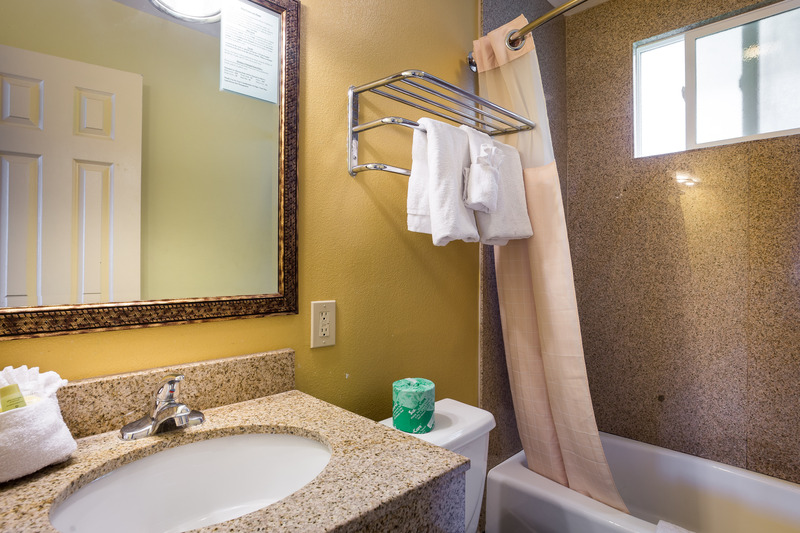 Enjoy all the comforts of home in our Santa Cruz hotel rooms, which are equipped with thoughtful amenities to ensure a pleasant and worry-free stay. With a variety of guest rooms to suit a diverse set of travelers, enjoy the luxury of choosing the accommodations perfect for your needs. 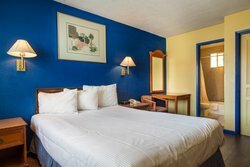 Our one or double bed hotel rooms in Santa Cruz are ideal for a brief stay or a weekend getaway, while our suite accommodations are perfect for larger group vacations. Families will appreciate our 3-Bed bedrooms, the favored places to stay in Santa Cruz for those looking for a little extra space. 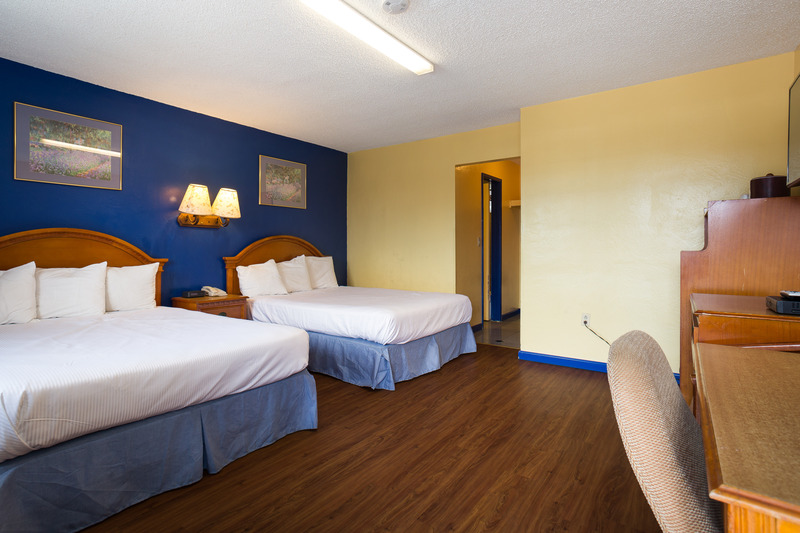 And if you’re in town for a longer stay, our extended stay hotel rooms await. Make yourself at home in our Santa Cruz hotel rooms, ideally located along the beach. Whether you’re in town for business or leisure, our convenient in-room amenities are designed to maximize your comfort. Stay connected to home or work with our free Wi-Fi; watch all your favorite shows and movies on the 40” flat screen TV with DirecTV, HBO, and ESPN; and store all your tasty leftovers from the delicious nearby restaurants and enjoy a late-night snack using our refrigerator and microwave. Make your stay at our sunny beach town feel like a breeze! Explore exciting local attractions just a few steps away from your Santa Cruz hotel room and unwind after a busy day in your comfortable lodgings. Whether you’re in town for a day, a weekend, or longer, we’d love to make Aqua Breeze Inn your home away from home in California. 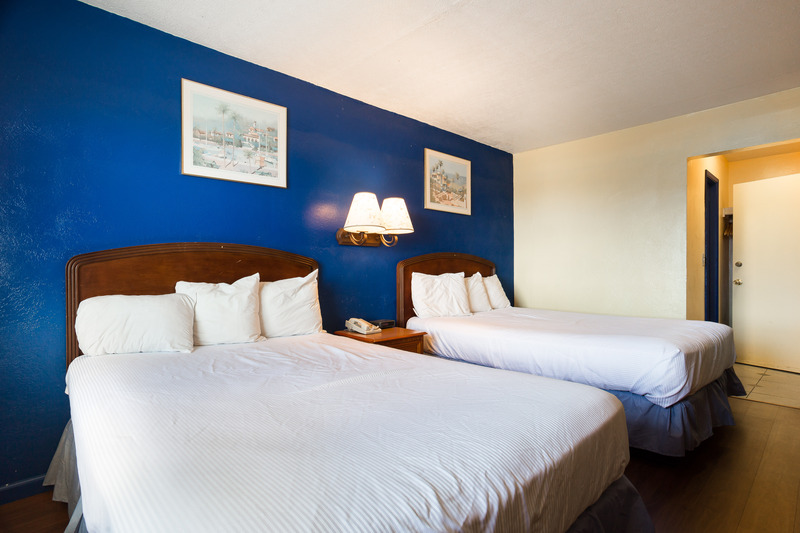 Book your stay at our lodgings in Santa Cruz, CA today! Relax in our 1 Queen Bed Room, featuring everything you'll need for the comforts of home. Stay connected with free Wi-Fi and watch all your favorite shows and movies on the 40" LED HDTV! Enjoy comfortable hotel rooms at our hotel in Santa Cruz, California! 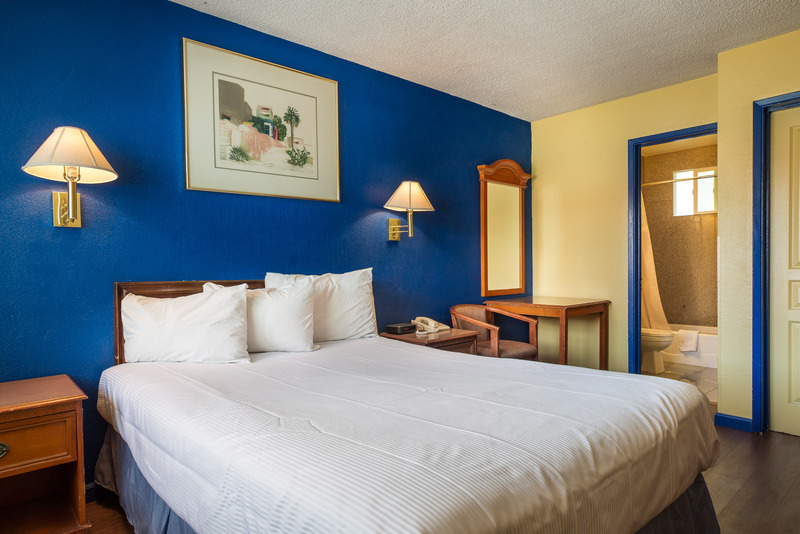 Unwind in our comfortable 1 King Bed Room, perfect for relaxing after a busy day in Santa Cruz! Stay connected to work or home using our free Wi-Fi and stay updated with all your favorite TV shows on the 40" LED HDTV! 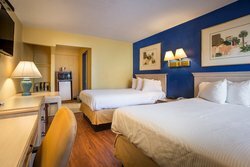 If you're looking for a bit of extra space for your group, our 1 King Bed Room with Sofabed is the perfect place to stay in Santa Cruz. Unwind in your comfortable bedding, watch your favorite shows on the 40" LED TV and stay connected to home or work with our free Wi-Fi! 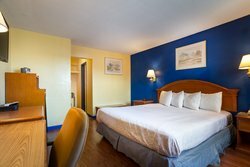 Perfect for a smaller group looking for comfortable accommodations in Santa Cruz, our 2 Doubles Guest Rooms offer two plush double beds to unwind in after a busy day. Watch all your favorite shows and movies on the 40" LED HDTV and stay connected to work or home using our free Wi-Fi. Unwind after a busy day in Santa Cruz in our 2 Queens Bed Room! Featuring comfortable bedding, free Wi-Fi, a 40" LED HDTV with DirecTV, HBO and ESPN, you're sure to feel right at home at Aqua Breeze Inn. The ideal hotel room in Santa Cruz for a larger group, our 2 Queens + Sofa Bed Guest Room can accommodate up to 6 guests. Enjoy all the comforts of home in your spacious lodgings. Offering free Wi-Fi, a 40" LED HDTV with DirecTV, HBO and ESPN, microwave and refrigerator, you'll surely feel right at home in Santa Cruz. For those looking for a little bit of extra space and privacy, our 1 King + 1 Double Suite will do just the trick. Perfect for a group of 4 who'd like separate rooms, our suite also features our staple amenities, including free Wi-Fi, a 40" LED HDTV with DirecTV, HBO and ESPN, microwave and refrigerator. Looking for a little extra space and privacy for your Santa Cruz accommodations? Our 2 Queen Suite offers 2 rooms with 1 Queen Bed in each room, perfect for a smaller group. Enjoy our staple hotel room amenities, including free Wi-Fi, 40" LED HDTV with DirecTV, HBO and ESPN, microwave and refrigerator. Perfect for the extended stay traveler looking for comfortable accommodations in Santa Cruz, our 2 Queens + Kitchen Guest Room features everything you’ll need for a relaxing and worry-free experience. 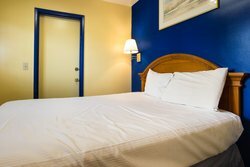 Spread out in your 2 Queen Beds Room, enjoy a delicious meal in your kitchen with microwave and refrigerator, stay connected with free Wi-Fi and watch all your favorite shows on the 40” LED HDTV with DirecTV, HBO and ESPN! Your group will enjoy the extra space to stretch out n our 2 Doubles + 1 Double Suite! Enjoy all the creature comforts our hotel rooms provide, including free Wi-Fi, a 40" LED HDTV with DirecTV, HBO and ESPN, microwave and refrigerator. Discover all the comforts of home during your stay in Santa Cruz in our 2 Queens + 1 Double Guest Room. We feature everything you'll need for a comfortable stay, including free Wi-Fi, a 40" LED HDTV with DirecTV, HBO and ESPN, microwave and refrigerator. 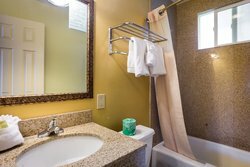 The perfect lodgings in Santa Cruz, CA for those who are looking to maximize comfort and convenience for their group, our 2 Queens + 1 Queen Guest Room can accommodate up to 6 guests comfortably. Unwind in your plush bedding while enjoying all our hotel room amenities, including free Wi-Fi, a 40" LED HDTV with DirecTV, HBO and ESPN, microwave and refrigerator.